God has promised us miracles. Are you willing to do what it takes to see them through? We all desire the favour of God on our lives. We eagerly pray and hope for God's promises and blessings, especially when they come in the form of cash or a promotion. But carrying the promises of God often means being inconvenienced, being stretched and being patient to nourish those promises until it is God's time for you to give birth to them. The result of the process is a miraculous demonstration of God's power to bring change on the earth. In Birthing the Miraculous, Heidi Baker weaves true stories from her life and ministry together with the biblical story of Mary's pregnancy with Jesus to show readers how to carry the promises of God in their own lives, becoming a catalyst for God's glory here on earth. 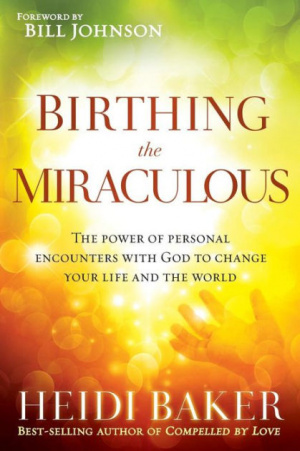 Birthing the Miraculous by Heidi Baker was published by Charisma House in April 2014 and is our 8600th best seller. The ISBN for Birthing the Miraculous is 9781621362197. 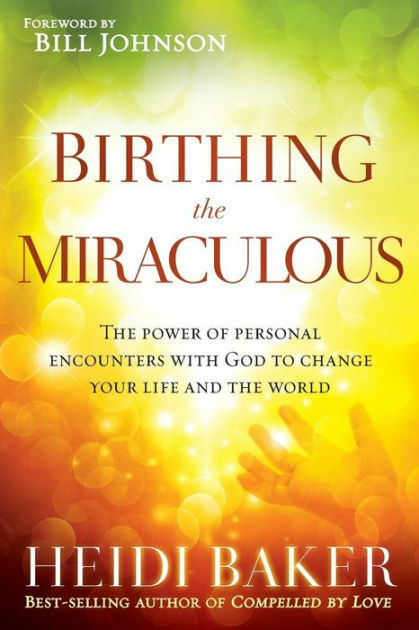 Heidi Baker's book 'Birthing the Miraculous' shows what God will do through a life completly given to Him. We read of how a woman believed God to be willing to do through her what needed to be done whatever the personal cost. This true account shows how God can be trusted to deliver us through this present evil world, where the enemy will try relentlessly to destry us or halt our progress It shows us that if we stay on course trusting Him he will ultimately see us through victoriously, time, and time again. I recommend this trilling adventure story to anyone feeling defeated and wanting to see victory in their present circulstances. Got a question? No problem! Just click here to ask us about Birthing the Miraculous. Please would you give info on your advertising dvds which have subtitles for hearing impaired? A:The Heidi Baker DVD, Compelled By Love DVD, does not have subtitles. Thank you for using the Q&A Forum.